New Flying Geese Pattern by Missouri Star - Missouri Star Quilt Co. - Missouri Star Quilt Co. 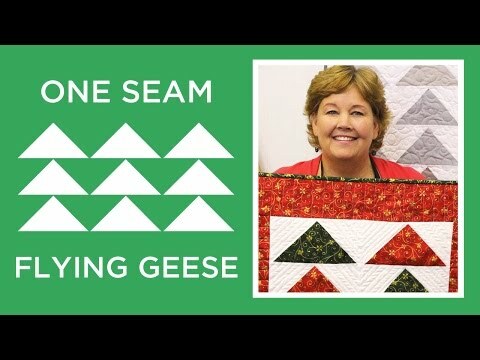 Flying Geese using only one seam? That’s exactly what we have for you in this pattern. It’s so much fun to make that we’ve even included a wall hanging. You’ll need 5” squares for the backgrounds and 10” squares for the geese.